At left, a few of the more than 300 RNs, LPNs, CNAs and nurse practitioners comprising our nursing staff. Their hard work and dedication are at the forefront of what they do. Thank you for being wonderful advocates for our residents, and for dedicating your lives to others. 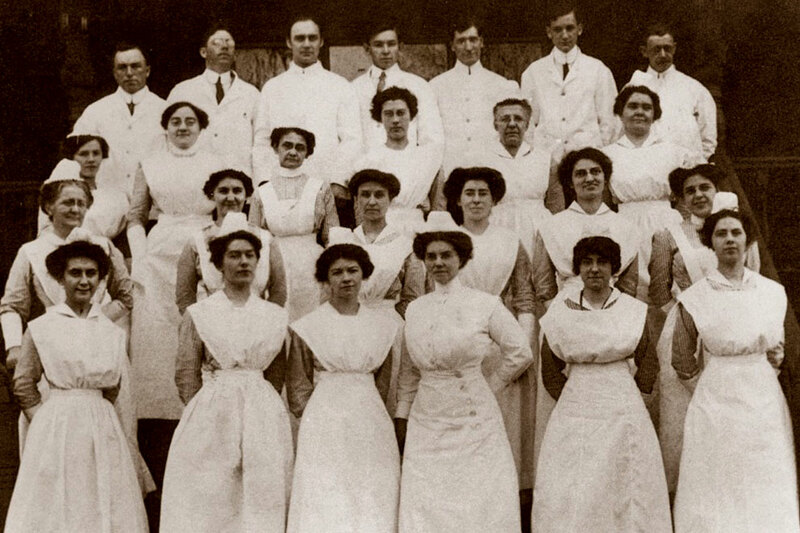 The nursing staff, circa 1920, when many lived on-campus in Morris Hall. Left to right, Farlene Laurent, LPN; Shadiyah Saunders, LPN; and Neighborhood Coordinator Jazmin Young. Left to right, Priscilla Crawford, CNA, and Dawn Miller, CNA, document care. 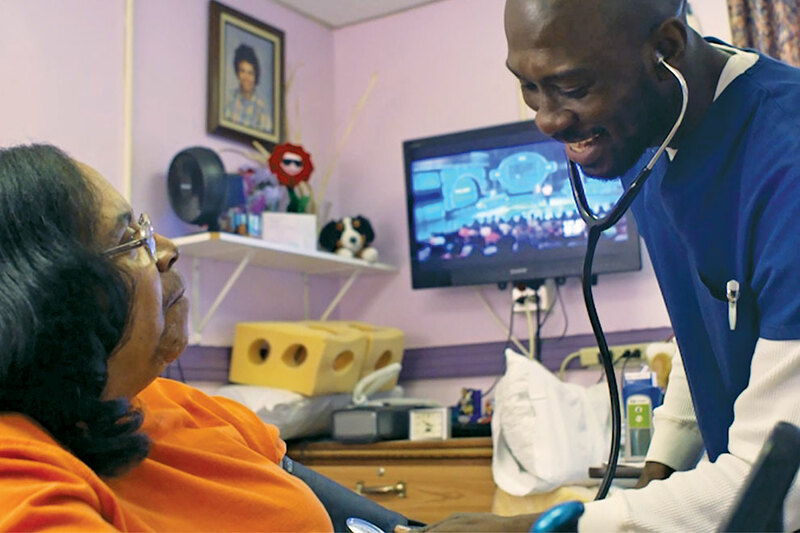 Clifforde Belizaire, LPN, takes Janice Jackson’s vital signs in her room on the 1North Neighborhood. 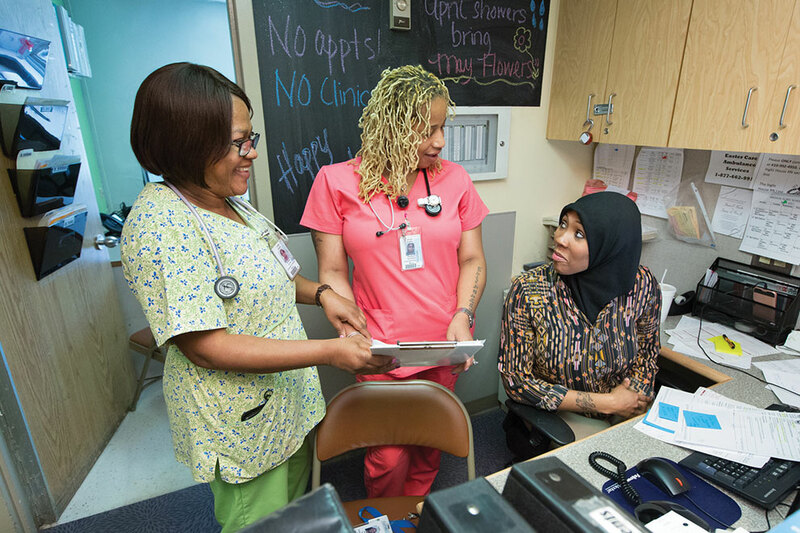 Inglis CNAs are the “eyes and ears” of the nursing staff. They provide hands-on care and help with activities of daily living such as dining and bathing. But they do so much more. 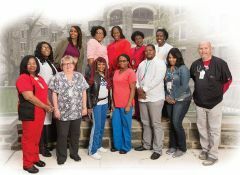 They, along with other staff, bring Person-Centered Care (PCC) to life at Inglis every day. 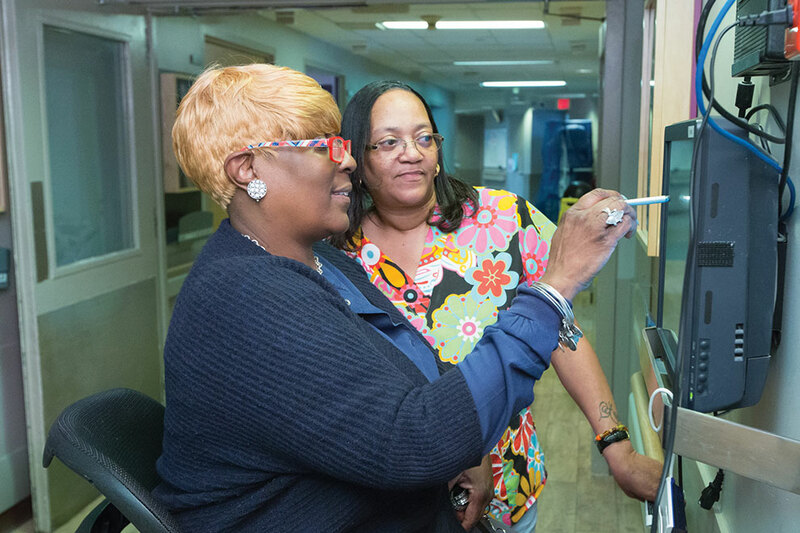 For example, last fall, using their own funds, the CNAs on our 1North Neighborhood purchased jewelry and accessories and travelled up and down the corridors to make sure that each resident looked their party-best for our annual Harvest Ball. 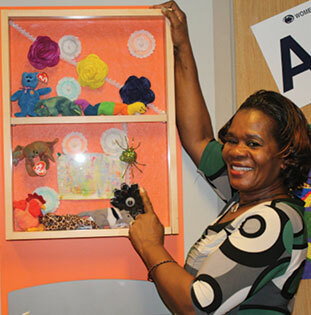 When our memory boxes were installed as part of the PCC neighborhood renovation, Hyacinth Smith-Brown, CNA, who has worked at Inglis since 1992, took the time to help the residents on her 2South Neighborhood compose each one.